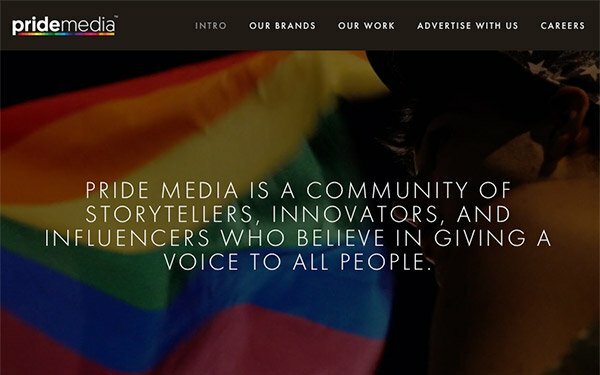 Pride Media has created its own full-service agency, called Vizible. The agency will handle creative advertising, experiential marketing and event production for brands wanting to reach the LGBTQ consumer market. Pride Media publishes Out, The Advocate, Out Traveler, Plus, Chill and Pride. It claims to be the largest publisher of LGBTQ content. “We understand the power of visibility — and we have always believed that being visible grows acceptance, reduces bigotry and has helped us on our journey towards equal rights,” stated Nathan Coyle, CEO, Pride Media. In one of its first partnerships, the Vizible team and Pride Media partnered with H&M on their 2018 summer campaign, "Pride Out Loud." Pride Media was responsible for conception, influencer casting, video production, photography and post-production for the campaign. The assets are being used across H&M’s stores, out-of-home and online advertising, as well as Out’s own channels. Vizible will be led by Pride Media’s Greg Brossia and ad veteran Patrick O’Neill. Brossia has been with the company for over a decade. He will now serve as managing director of the agency. O’Neill spent 14 years at the advertising agency TWBA\Chiat Day, and served as its executive creative director. Some of his more notable campaigns were for Gatorade, Crate&Barrel, Southwest Airlines, the Academy Awards, the Grammys and Visa’s “Go World” Olympics campaign. O’Neill also helped launch the first television commercial featuring a gay couple for Ikea in 1994. Previously, Pride Media has created original content and creative for campaigns for a range of advertisers, such as Marriott, Cadillac and Coors Light.